Last night Corona Insights was honored to have received a Gold Peak Award for our market research work to inform the Donor Alliance’s marketing strategy. 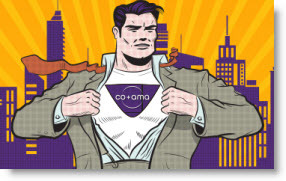 This is the third Peak Award that Corona Insights has taken home from the CO+AMA. In 2010 Corona took home the Silver Peak award for our rebranding and in 2011 Corona won a Gold Peak award for our market research work to inform the University of Denver Sturm College of Law’s strategic plan. This award recognizes both Corona’s quality research skills, as well as the positive outcomes of data-driven decision making. The research we did for Donor Alliance has resulted in a marketing campaign that addresses the trends in the data we helped uncover. The theme of the night was “super-hero”, we find it a fitting theme for Donor Alliance. The honorable work they do provides lifesaving and healing opportunities to the more than 116,000 people waiting for transplants nationwide. The Peak Awards are hosted annually by the Colorado Chapter of the American Marketing Association (CO-AMA). This year the Peak Award awards turned 25. With a vibrant arts and entrepreneurial culture in Denver, marketing is a thriving industry and the awards provide an opportunity for the entire Colorado marketing community to be recognized for its exceptional work. The event was held at the historic McNicols building on June 6th. Karla Raines and Leo Lewis, Principals at Corona Insights, were joined by Andrea Smith, Director of PR and Communication at Donor Alliance, to accept the award.